If you've been holding your breath for LG's curved, flexible G Flex and... well, the somewhat less remarkable Optimus F3Q to come to Magenta, then you won't have to wait much longer. T-Mobile announced this morning that both smartphones will be available starting on February 5th online and at retailers. The G Flex will cost $672 ($28 a month on T-Mobile's two-year payment plan), while the budget QWERTY slider will cost $312 ($13 for 24 months). 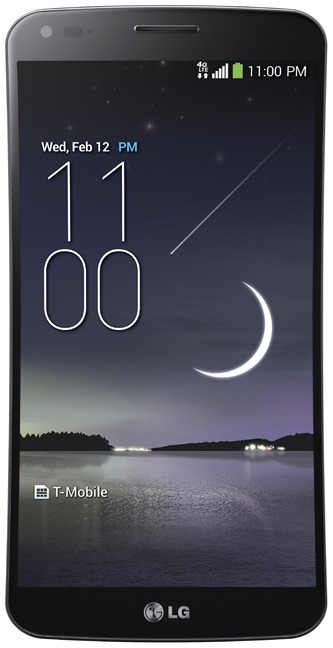 The G Flex is up for preorder on T-Mobile's website now. AT&T has already announced its intention to bring this unique phone and its 6-inch curved screen to the States, and the Ma Bell version will be available just one day sooner. The G Flex has specs and a basic design that match the flagship LG G2, including a Snapdragon 800 processor, 2GB of RAM, a 13MP rear camera, rear power and volume buttons and 32GB of storage. And of course, the body bends and flexes, and a coating on the rear panel can gradually heal small scratches. That said, the swanky new screen has some drawbacks, starting with the 720p resolution. Read our review to get all the details. T-Mobile is also giving away six months of Netflix access with the G Flex. The QWERTY slider phone is a rare beast these days, and fans of the form factor probably won't be blown away by the rest of the hardware on the Optimus F3Q. When the device was leaked last month we didn't know much of the hardware details, and T-Mobile is only talking about its 4-inch screen and 5MP rear camera in the press release. A full spec sheet includes 1GB of RAM, 4GB of storage and a MicroSD card slot, Android 4.1, and a respectable 2460mAh battery. The F3Q is almost identical to Verizon's LG Enact. Those who are hoping for a high-powered QWERTY phone will just have to keep hoping. A New Year ushers in new smartphones and T-Mobile has two from LG Electronics launching in February – the LG G Flex and LG Optimus F3Q. T-Mobile customers can get both smartphones with the Simple Choice Plan, which offers unlimited talk, text and Web with up to 500MB of data as well as unlimited text and data in 100+ countries – at no extra charge – all with no annual service contract on our nationwide 4G LTE network. 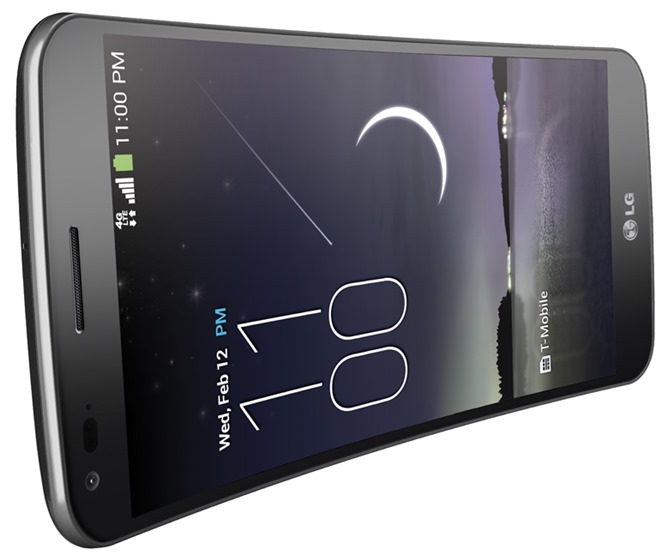 Today, the world’s first curved, flexible smartphone from LG – the LG G Flex – is available for pre-order at http://www.t-mobile.com/cell-phones/lg-g-flex.html. The smartphone will launch nationwide beginning February 5 at participating T-Mobile retail stores, select dealers, national retail stores and online at www.T-Mobile.com. The smartphone will cost $0 down with 24 equal monthly device payments of $28 with T-Mobile’s Simple Choice Plan. Plus, courtesy of LG, T-Mobile customers who purchase a new LG G Flex will receive an offer for six months of Netflix streaming service. The LG G Flex, with its distinctively curved design that follows the contour of the face, offers T-Mobile customers an outstanding voice and sound experience. The LG G Flex’s curved 6-inch OLED HD display helps reduce reflection and glare from ambient light, making it ideal for watching movies, videos or playing games on-the-go. The LG G Flex also features a convenient Rear Key so one finger can power the device on or off, adjust volume or take a photo. The advanced smartphone features a 13MP HD camera to capture crisp, detailed, high-quality images and videos. In addition, the LG G Flex includes a curved battery with a capacity of 3,500 mAh for power, sleek design and comfort in the palm of your hand. This LG G Flex smartphone will introduce new LG-exclusive features such as QuickTheater™, which can give users virtually instant access to videos, photos and entertainment apps for the ultimate cinematic viewing experience; and Dual Window, which divides the screen into two separate windows for more efficient multitasking. 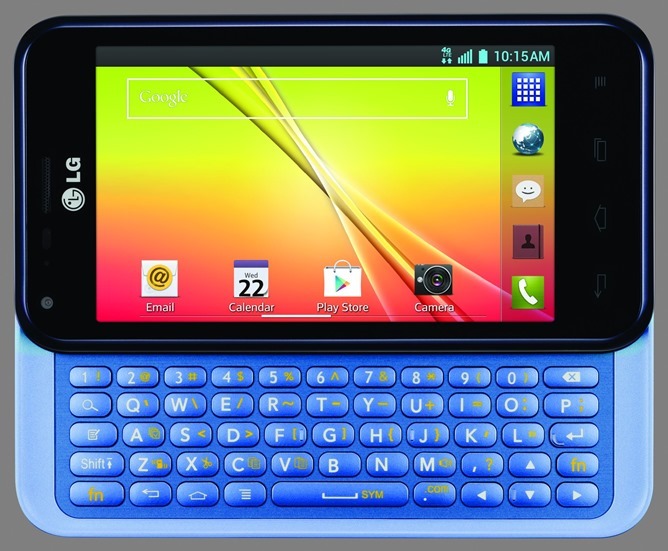 For those that cannot live without a QWERTY keyboard, the LG Optimus F3Q will be a great new option when it becomes available beginning February 5. With the affordable LG Optimus F3Q, customers won’t have to compromise on style and function as it boasts a bright and super sharp 4-inch IPS TFT display and 5MP camera with enhanced features for better and more creative photos. The new smartphone will have familiar LG-exclusive features such as QuickMemo™, which lets users write or draw on any screen shot or photo using their finger, and QSlide function allows users to float and use two apps over the main screen simultaneously. The stylish, fast and full-featured LG Optimus F3Q is expected to launch online via www.T-Mobile.com and through select dealers and national retail stores beginning February 5. Devices will also start rolling out to select T-Mobile retail stores that same week. The LG Optimus F3Q will be available for $0 down with 24 equal monthly device payments of $131 with T-Mobile’s Simple Choice Plan.